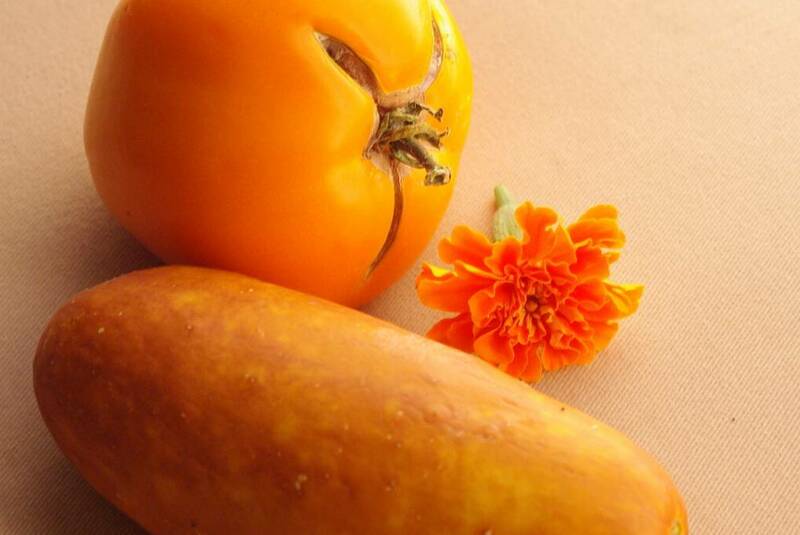 I noticed something when looking at the kitchen counter the other day: recent harvests have been quite orange! This isn't some weird side effect of the heat, it's just the way these varieties grow. 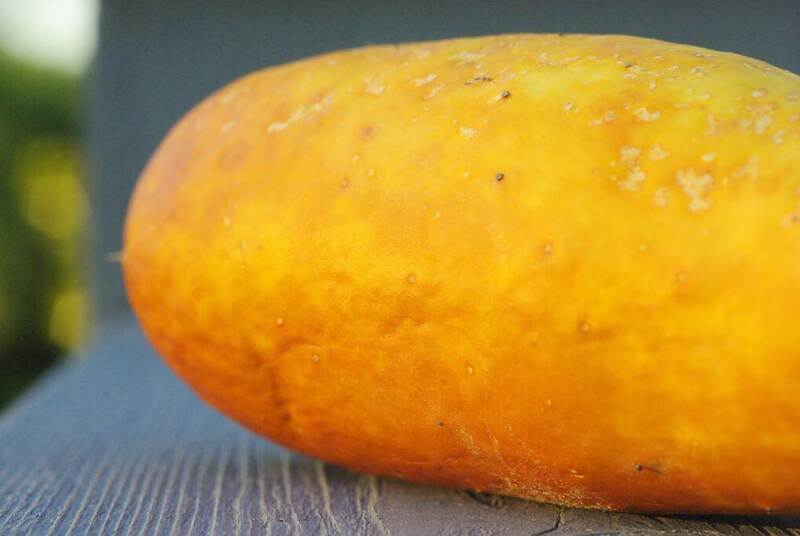 For instance this heirloom cucumber: Poona Kheera. 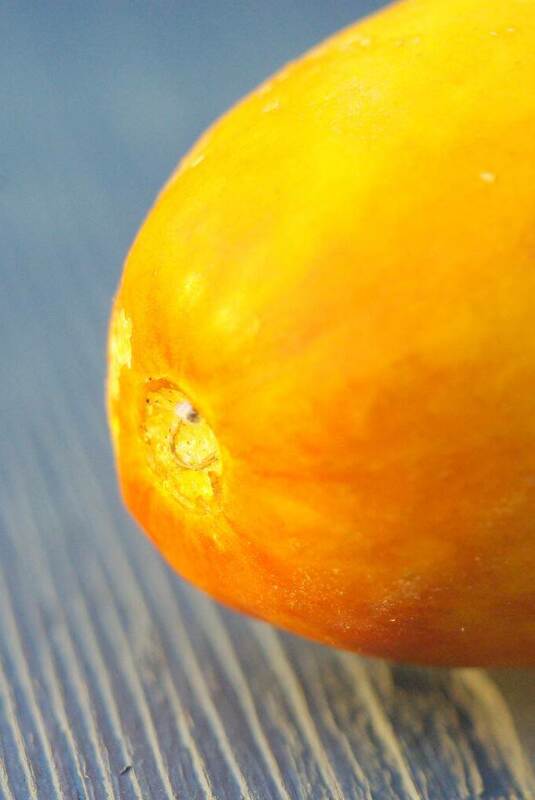 It starts out yellow, then ripens to this rich orangey brown color. 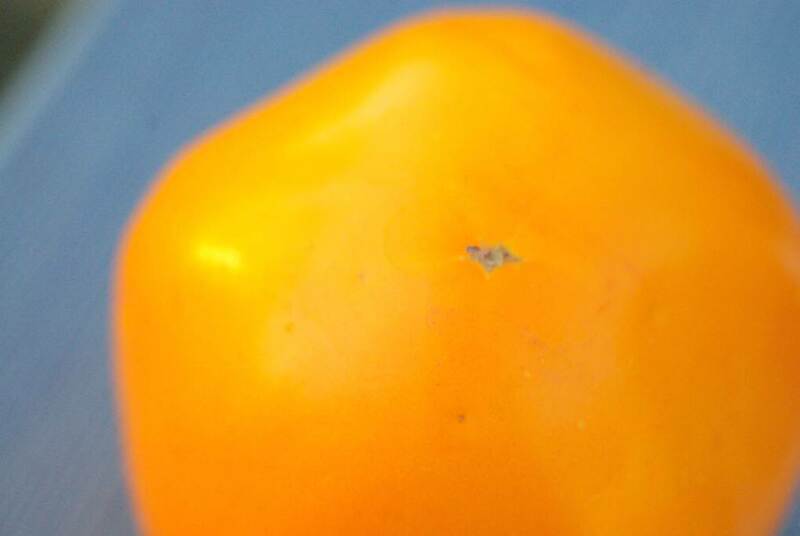 Looks like something is wrong with it, but it's quite delicious, and not at all bitter even when it ripens to this extent -- I should have picked it earlier, but I didn't know it was out there. This is the first year I'm growing it, and I think it's a winner. 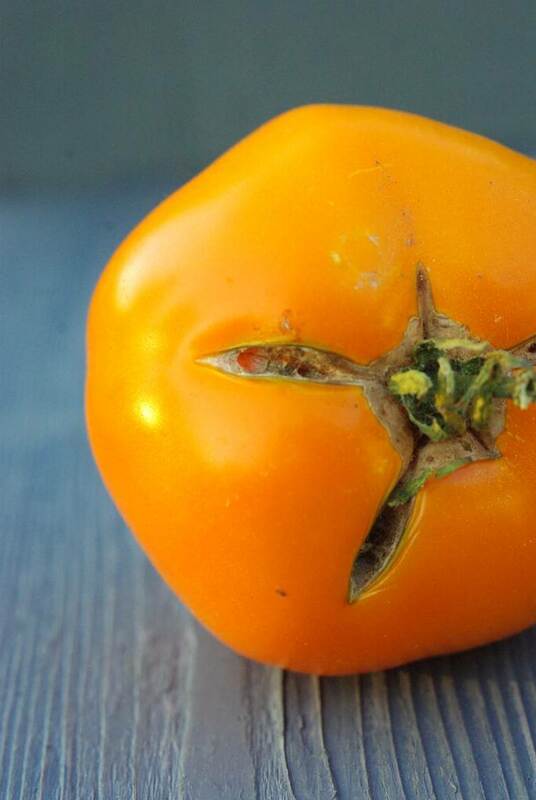 This is a tomato called 'Tangerine'. I wonder how it got that name (he asks sarcastically)? 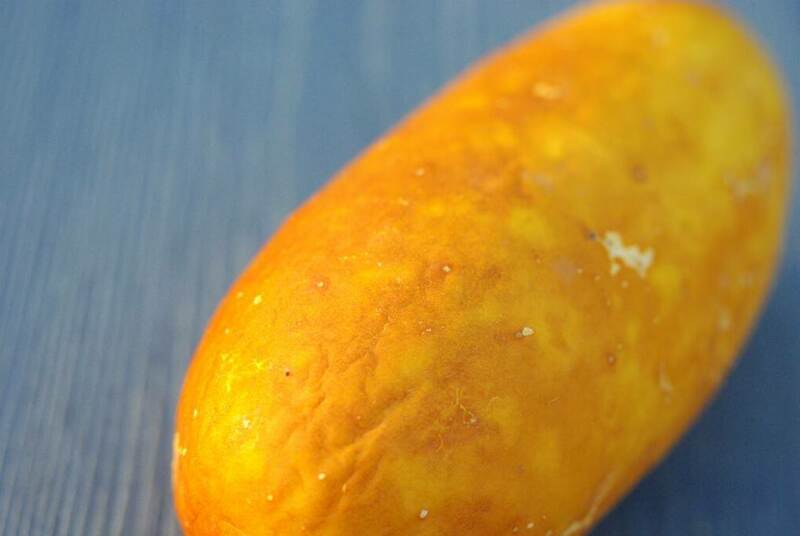 It certainly is delicious and very orange. It does not taste of tangerines. 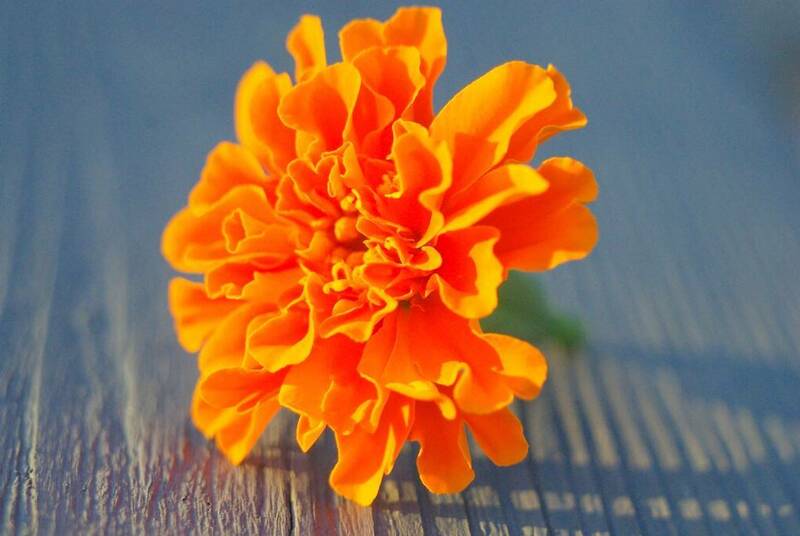 I found a marigold bloom that hasn't yet faded. I thought marigolds were almost bulletproof, but mine have been struggling. Not sure what to do about that. Now that I think about it I should have grabbed a zucchini or squash bloom instead, as that would have fit the theme better. But that's my trio of orange. I hope your garden is surprising you this summer! I think the heat is stressing everything. Even the geraniums are gasping. Although the impatiens seem to be thriving, as long as they get water on a twice daily basis! Orange is one of my favorite garden colors! 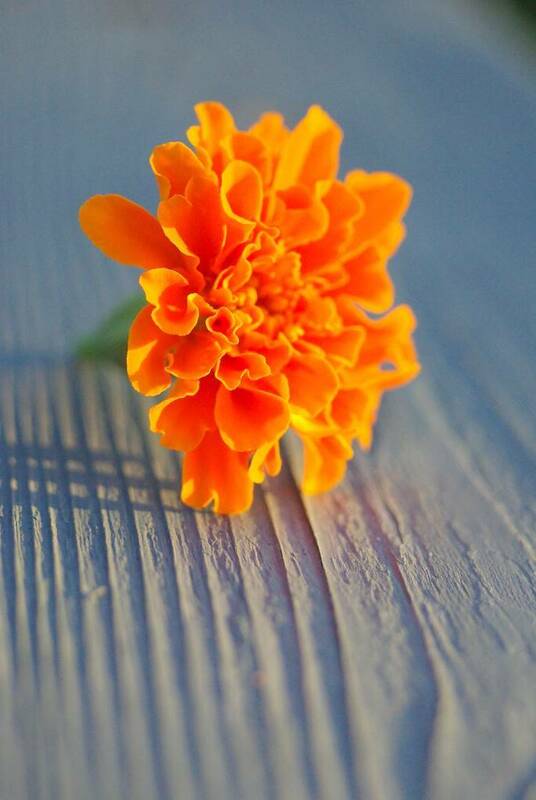 The marigold is beautifully photographed. It looks like a jewel!